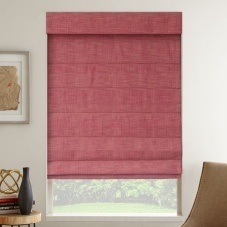 If you want the look of a drapery with the functionality of a blind, try our Roman Shades. You'll see that many of the fabrics offered in our Roman Shade collection are also used to make custom draperies. Of all the window treatments, Roman shades may be the least understood. That’s partly because they are not what comes to mind when thinking of window blinds or window shades. 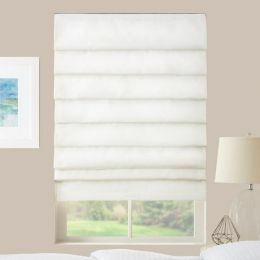 But we at Select Blinds Canada have put a lot of research into our collection of roman shades, and we are confident that you will come to understand the beauty, elegance and functionality of these window treatments. When considering a roman shade, the first thing you need to think about is the style and colour. There are so many colours and patterns to choose from, including solids, stripes and floral. Also consider the texture of the material. 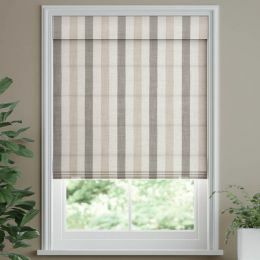 Our roman shades available in luxurious linen and silk, as well as cotton, and polyester fabrics. Once you've selected the fabric colour and texture, the only thing left to select is the fold style and options. Let’s begin with fold style. 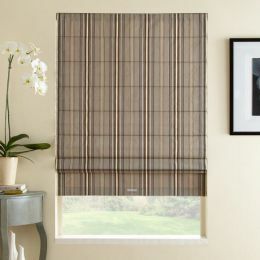 Roman shades from Select Blinds Canada can be custom made in four different fold styles. For the cleanest look, you might want to select the Classic Style Fold. The European Style Fold, works much like the flat fold style, the only difference being that the bottom of the shade is curved when it is raised, like a very wide letter ”U”, adding a European flair. 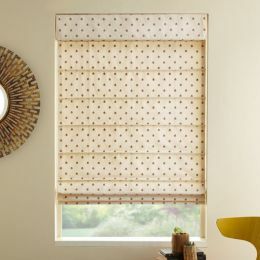 With the Flat Style Fold, as you raise the shade to the desired height, the fabric panels simply fold one over the next. 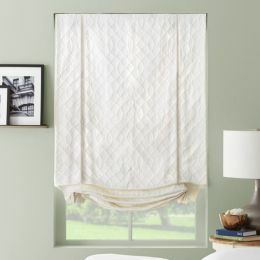 Finally, for the most drapery-like look to your roman shade, there is the Hobbled Style Fold. With this style, generous amounts of material gently cascade down as the shade is raised. Top-Down Bottom-Up is an option on many of our roman shades. With this handy option, you can lower the window shade down from the top, and raise it from the bottom. This is a great way of maintaining privacy while still allowing light to come into the room. 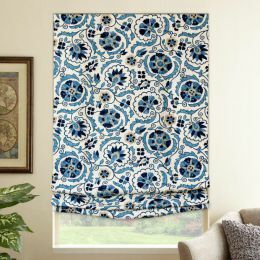 For even more privacy, your roman shade can be enhanced with a room darkening or blackout liner. These liners greatly diminish the amount of light allowed into the room, making them a great choice for bedrooms and media rooms. 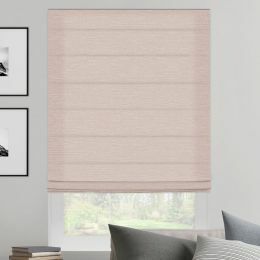 One of the most surprising features of Select Blinds Canada’s roman shades is how easy they are to install. The headrails are pre-drilled, so all you have to do is hold up the shade, make a mark with a pencil where the holes line up on your window frame, and then drill the holes for the screws included with your window shade. We even give you the bit size recommended for the drill! Once the holes have been pre-drilled, just hold the shade up, and drive in the screws. 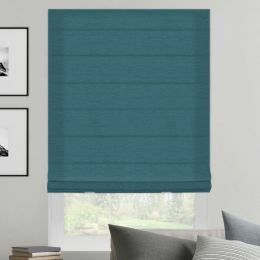 Given the styles of today's home fashions, we're finding that roman shades are one of our fastest growing window covering products. 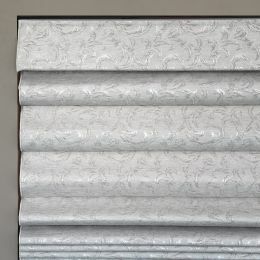 They look fantastic, are very easy to install, and when compared to traditional custom draperies, are a tremendous value.